One July evening, all the men of redfish wore dresses. This was not done as a joke. It was a lovely thing to do on a summer’s evening. It was a celebration of two birthdays and a culmination of events. It was a celebration of not only inclusivity but femininity. A new way to try out being in the world. If you were there that evening, what you would have seen was simple: Jaime in vintage floral; Bryce in knee length tie-die; Joe in a short, striped number; Alexei in a brown velvet skirt; Chris in a paisley skirt, and Riley resembling a mermaid. 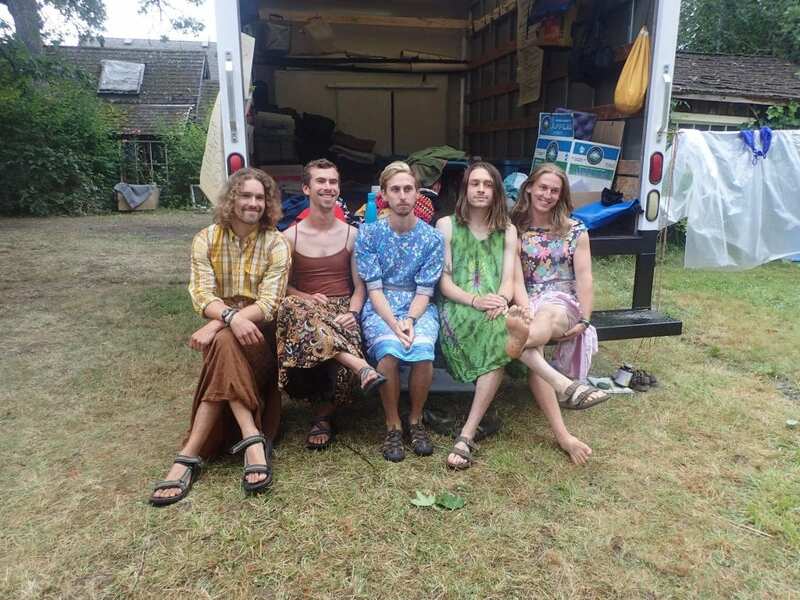 In short, men in dresses. From childhood, boys are raised to be men. When masculinity means to always be strong and in control, there is little room for feeling and expressing vulnerable emotion. In Chimamanda Ngozi Adichie’s Ted Talk We Should All be Feminists, she speaks to the harm of gender roles in our society. How in order to build a more equitable world, we must look at the way gender is constructed in both men and women. Rebecca Solnit expands on this in her 2017 essay A Short History of Silence. In it, she unpacks how boys and men are socialized to deaden aspects of their inner life. This has ramifications that reverberate throughout a man’s life. Toxic masculinity is one result with impacts felt on a personal and global level. Being a cis-gendered female, I cannot say how the men of Redfish felt. I can only say that that evening changed something for me. It made femininity in men more visible, more desirable, more possible. Imagine if we lived in a society where that which we define as feminine was supported in boys and men. Where men were encouraged to cry, to be tender, to talk about and express their innermost hopes and fears. To wear floral dresses with reckless abandon. I know I would feel safer in that world. I watched throughout the program as the men of redfish made themselves vulnerable and expressed uncomfortable emotions. I hope we made space for them to do so. I hope they continue to do so. The night ended for me sitting on the grass, watching Jaime and Alexei perform a duet of “Somewhere Over the Rainbow”. I thought of how beautiful they were adorned in women’s clothing. 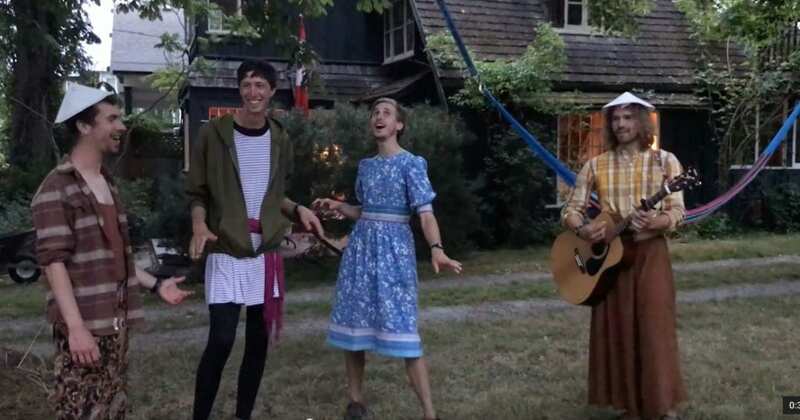 How wonderful it would be if two cis-gendered heterosexual men toured the country in floral dresses, playing tender songs and moving our hearts towards what is possible. Solnit, Rebecca. 2017. “A Short History of Silence.” In The Mother of All Questions, 176. Haymarket Books. When I first applied for the Redfish School of Change last winter, I yearned to better understand how to more effectively mitigate some of the complex social and ecological challenges plaguing my home in Dallas-Fort Worth, Texas. 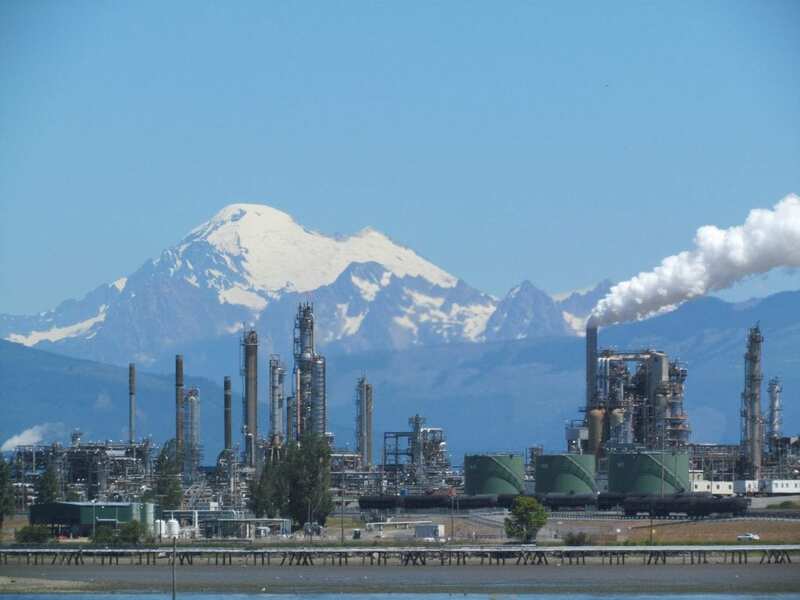 Among these problems are extensive habitat loss and fragmentation, water and air pollution, rapid gentrification and unsustainable urban sprawl, police brutality, and the rising unaffordability of the costs of living. Connecting with concerned citizens, passionate students and learned activists about the various ways to catalyze and sustain change appealed to me for this reason, particularly as I approached the tail end of my time at the University of Victoria and the encroaching and daunting prospect of returning home. Yet, soon into embarking on our journey, a different, equally pertinent goal began to take precedence in my mind, one of a far more internal nature. At the beginning of Redfish we were introduced to the term “personal ecology,” which can be understood as one’s own individual health and wellbeing and ability to practice self-care. Deriving from the notion that one cannot possibly contribute to the world in a positive and sustainable way without taking care of one’s self first, personal ecology emphasizes the importance for activists to recognize their own unique responsibilities and capacities, without carrying the immense weight of the world’s problems on their own shoulders. During our time in Redfish, many of us have experienced grief over the scale of ecological and cultural loss and devastation that besets our planet. Even as we’ve encountered inspiring leaders and participated in tangible change such as environmental restoration projects, I have found myself emotionally overwhelmed by the extensive array of challenges that face my generation and those yet to come. Many of us have felt a culmination of motivation, inspiration and anxiety throughout this month, all the while questioning what unique niches we might occupy in order to meaningfully contribute to positive change. Several of the leaders we have met have planted seeds in my mind about how it is that one can be an activist while avoiding feeling disheartened, inadequate and burnt out. One particularly inspiring conservationist named Misty McDuffey spoke about her experience conducting field work and writing educational pieces about the threats to salmon populations and the endangered Southern Resident orcas. Fueled by veneration for these species and distraught over the devastation their communities are experiencing, she highlighted some of the impacts of fisheries, dykes, dams and the aquarium trade. When a student finally asked her about how she studies such a heavy topic without burning out, she emphasized the importance of cultivating gratitude in our day-to-day lives. She encouraged us to appreciate the awe-inspiring beauty of our world that still remains, and to try to leave behind our narratives of loss and despair in these moments in order to be fully present and reverent. In other words, Misty stressed that we must continually appreciate and love the planet wholeheartedly, without letting our understanding of its destruction hinder our ability to be grateful. On top of this, Redfish has affirmed to me how truly communal sustainable change is. There is no lone mythological superhero that can lead us into the progressive sunset. Instead there are networks of people, diverse and unique, with different skill sets and capacities, strengths and weaknesses. We collectively change the world. We cannot independently create the world we want. In the same vein, we should hold each other gently while recognizing that change is not always straightforward or immediate, mistakes will be made, our goals will need to be re-evaluated and adapted. In the midst of realizing this, I am learning to hold myself gently, to take care of my own “personal ecology” as if I were my own teeming, complex universe, but also to humbly accept that I am one mere piece in this infinitely complicated planetary puzzle. While immersed in our Redfish community, I have been reminded, time and time again, of the power of solidarity. I have been reminded of the pivotal need to practice self-love and self-care, to know what I can do and what I simply cannot do, and to recognize that what I cannot do, another might be destined to do. I have been reminded to hold myself and those around me gently as we create the kind of world that can nourish and sustain us into the indefinite future. As we write this post we are experiencing some post-Redfish withdrawals and reminiscing on all the magical wonderfulness that was Redfish. When we think about our Redfish community, including every person and every being we met along the way, one characteristic stands out in particular – that of resilience. Resilience can be understood as a system’s ability to adapt to or recover from disturbances or stressors. Our immediate community demonstrated resilience when we persevered after being faced with various physical and emotional challenges. Other resilient communities we met with included those of the Bracken ferns and Garry oak camas meadows, which, despite undergoing over a century of colonial disruption, still persist today. What is it about our Redfish community, the Bracken fern, and the Garry oak ecosystems that make them resilient? 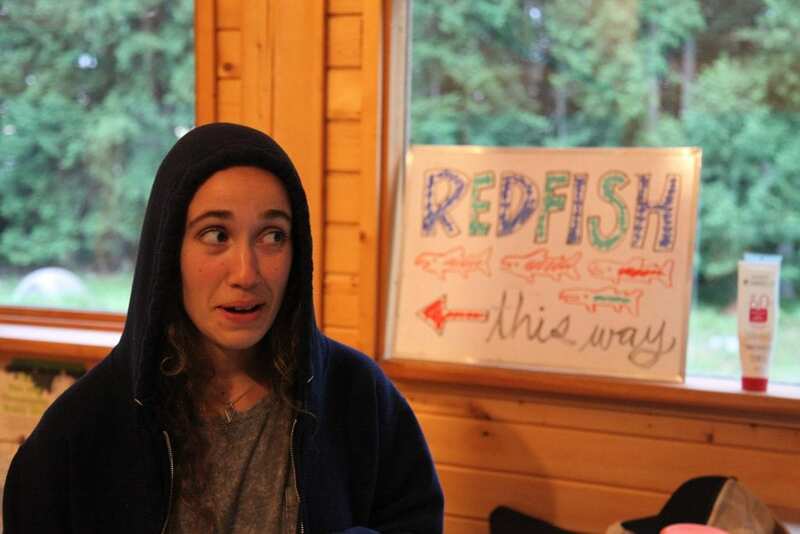 To begin, our Redfish community was resilient because it was made up of a network of diverse individuals offering different strengths and taking on a variety of roles, while allowing for some overlap of niches. When a stressor hit, everyone could help in a different capacity, allowing our community to continue on without falling apart. We were also able to adapt to novel or challenging conditions, by taking on slightly different roles and behaviours. If a stressor hit just one individual, someone else could take on their role, allowing that individual to get the rest they needed. It also helped that we all shared a common goal – to learn about and bring about social-ecological change – that helped to keep us connected and care for each other. 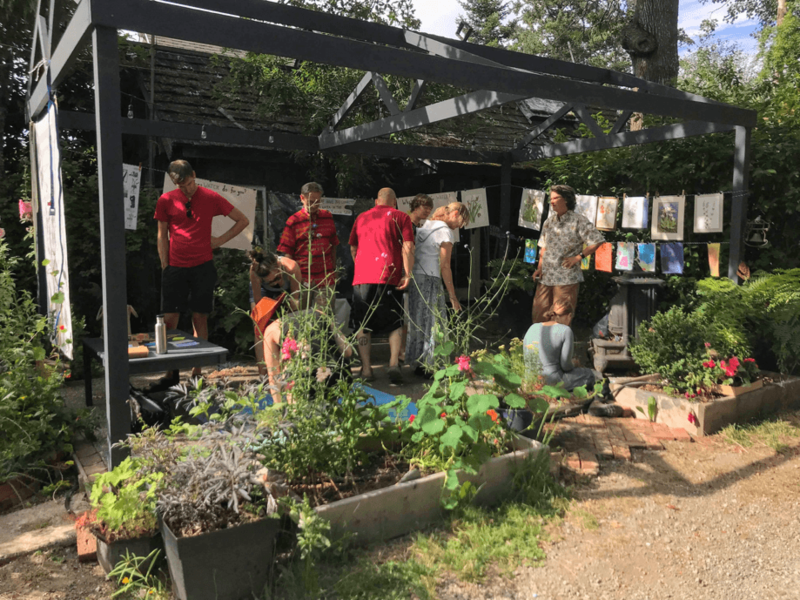 After one of the many brilliant plant walk sessions with instructor Brenda Beckwith, our perception of community shifted when Brenda taught us about the large fern genus Bracken, Pteridium. Bracken ferns are commonly viewed as invasive plants, because of the mass amounts of spaces they occupy, and their resilient nature. The taking up of space begins with the large network of the rhizome system beneath the soil. The roots intertwine and connect underground, giving rise to new buds capable of forming individual fronds, the leaflike part of the plant. We can see parallels between this and our Redfish community, where we support each other and work together to spread our knowledge and leadership to each of our individual home communities. Before a community can radiate outwards, however, it must take care of its own health and needs. The Bracken fern portrays this in the range of toxic chemicals they hold within their tissues, which prevents them from being preyed upon or decaying. When actions are taken to get rid of Bracken fern, such as burning, signals are sent to through the shoots to the deeper growing roots, triggering a growth signal for when the surficial fronds are destroyed. This allows the new fronds to grow and continue living in the space they initially occupied. Not unlike the Bracken fern, resilience within a community arises from the strong and sturdy foundation that continues to build as the roots extend and connect within the soil, retaining the nutrients, water, and knowledge required to continue growing. 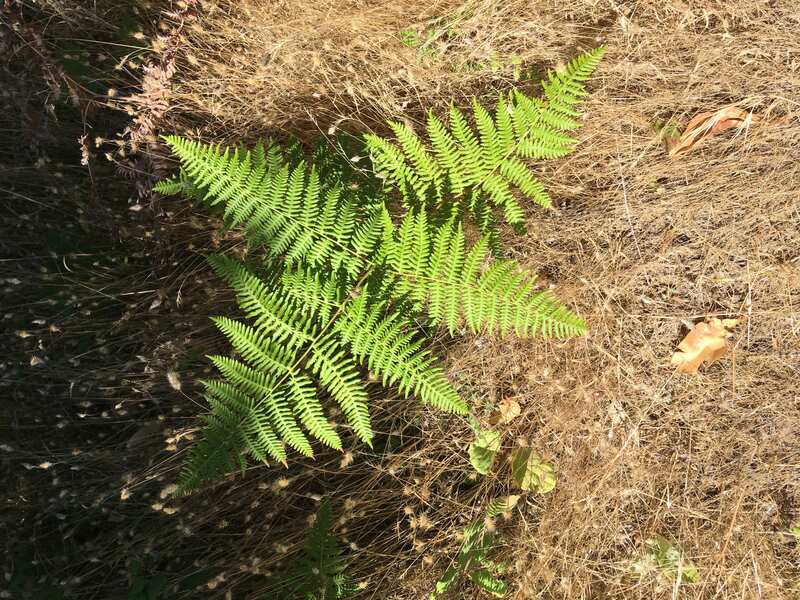 A Bracken fern on Sucia Island. Our last story of resilience takes place on Sucia Island where we visited Ewing Cove, sat on the coastal bluff under the hot sun, and learned that just over a century ago, this place was perhaps a highly productive Garry oak meadow filled mostly with purple camas and snowberry. The Camassia quamash, or purple camas, is considered a cultural keystone species by many Coast Salish peoples, who, prior to colonization, relied on camas bulbs as a dietary staple. 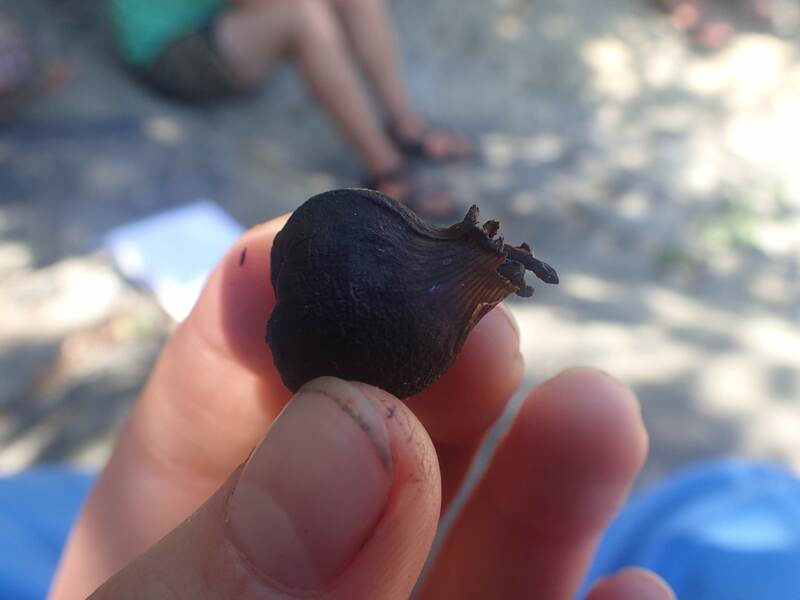 The Coast Salish peoples cared for these ecosystems and ensured their sustained productivity through management strategies that involved providing small disturbances: cultural prescribed burning and traditional digging of camas bulbs. Prescribed burning helped keep out weedy plants, while providing charcoal for the soil, and digging helped loosen the soil that enabled the bulbs to grow larger. It became clear that ‘camas and people go hand in hand,’ and that these ecosystems fair best when maintained by those who know how to properly care for them. Colonization has led to the elimination of these important cultural practices for camas meadows through development and neglect and bulbs found today are much smaller now than they used to be. Camas fields on Mount Tolmie, Victoria, May 2018. Yet, the camas persists, and we can find hope in its resilience. Camas is so resilient that it was considered by some European settlers to be a noxious weed – it underwent so much disturbance yet kept growing back. Part of what makes camas so resilient is that it has contractile roots that enable the camas to move when conditions are unfavourable. During seasonal drought, the roots will shrink vertically and pull the camas deeper into the soil to protect it from sun and heat. Maybe another reason camas is so resilient is that it has learned to adapt to and persevere with disturbance – just like our Redfish community ☺. Pictured: Two camas bulbs, one recently dug (and soon to be replanted) and the other, cooked, dried, and ready to eat. 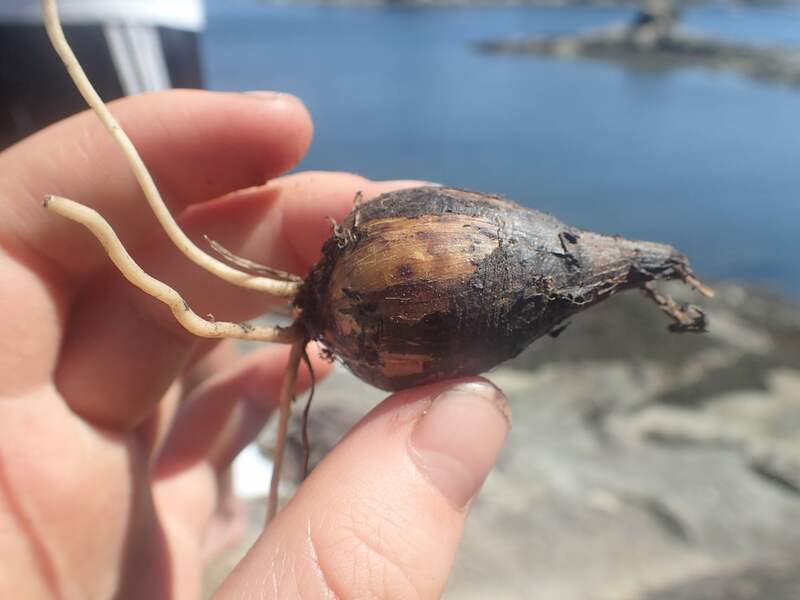 We had the privilege of tasting camas bulbs, something that not every Coast Salish person is able to do today. Photo by Shayla Brewer. Relax, you are about to enter one of the most supportive spaces that you have ever experienced. You will be held lightly and appreciated. Bring some form of a pillow, your neck and back will thank you. Gluten toots do not smell very good, take digestion into account when meal planning. Avoid buying new things for the program. It seems necessary to buy camp specific items at the moment, but you may regret that decision. Thrift shop for it, borrow it, or substitute it, but also check with the teaching team. Field School courses are not campus courses, no need for emotional breakdowns over the grades. The group is much more flexible than you may originally think. Guests are possible, breaks can happen, the group will do what they can to meet your needs. Huxley Environmental Education Majors: consider not doing Spring Block right before Redfish. Don’t drink untreated water and get a parasite. You will have to name it. One of us got a parasite named Tristan. Have an idea for you community action project before you come. Step out for personal time when you need it, it is crucial. Bring some of your favorite snacks for comfort. You won’t have to personally store them. Find shade and move to it when you need that. Enter as deep into the learning as you can, while still doing self care. Keep yourself clean and avoid raging urinary tract infections. Don’t stress so much, you will do what you can but you will be met where you are. Don’t try to conform to what you think others are, diversity is crucial in this program. We need to have people to be different. Engage with the space you’re in and the community members that you’re with, while you have the chance. Bring up concerns to the group or teaching team so that we can all work through it or make it a time for learning and growth. Make a community contract that you are proud of. July 10, 2018. As we prepare to cross over the international border later today, we have to say goodbye to the little home we’ve made on Patricia Bay in North Saanich. 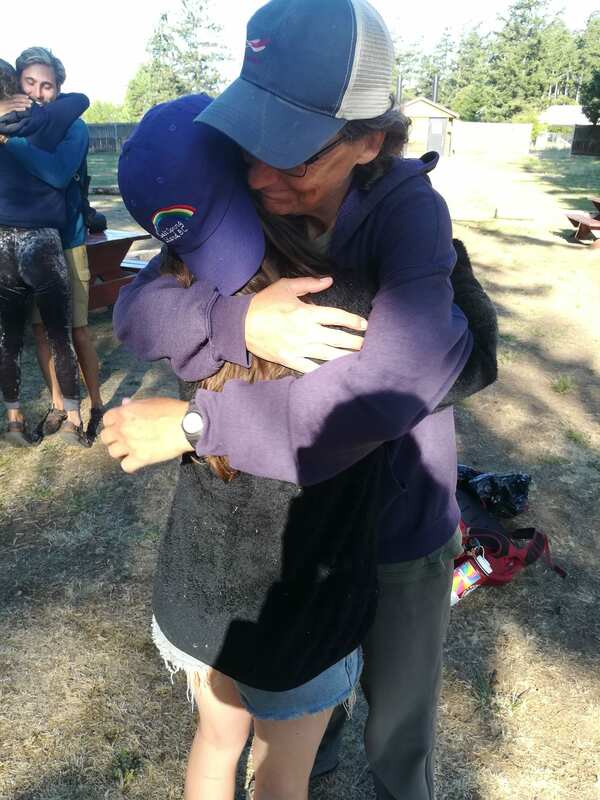 We have spent the last six days camping in the backyard of the Rashleigh-Reid family, learning about community-based restoration and ocean conservation and hearing stories and knowledge from WSANEC leaders. This week has provided us with many opportunities to actively practice our own leadership styles and learn from the leadership of those around us. One of the readings in our Leadership for Community Action course speaks to the idea of leaders being “hosts not heroes”. It is not up to the leader to single-handedly save the world but rather to mobilize the hearts and minds of everyone in our workplace and communities. The hosts who invite and foster participation from all community members are the people who exhibit strong leadership. 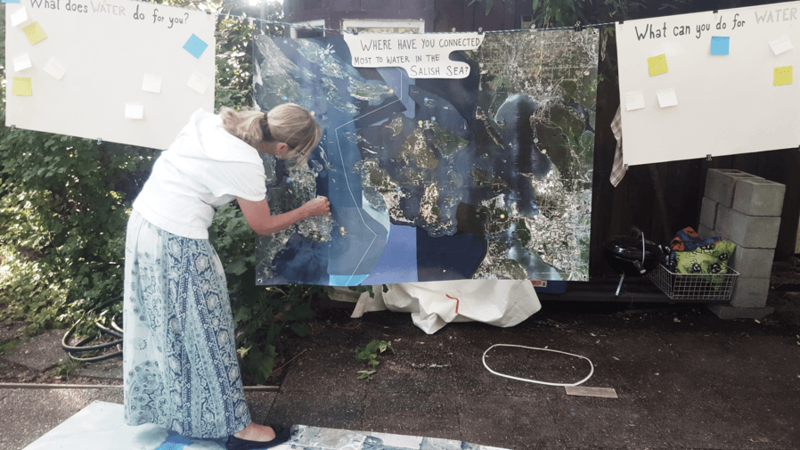 Our Redfish community had a wonderful opportunity this week to both literally and figuratively host some visitors at a community mapping event in the Rashleigh-Reids’ yard. The results of the evening would not have been possible without the input and effort of each and every one of us. With our hosts Morgan, Jen, Nina, and Owen’s help we were able to transform our scattered home base into a party space. 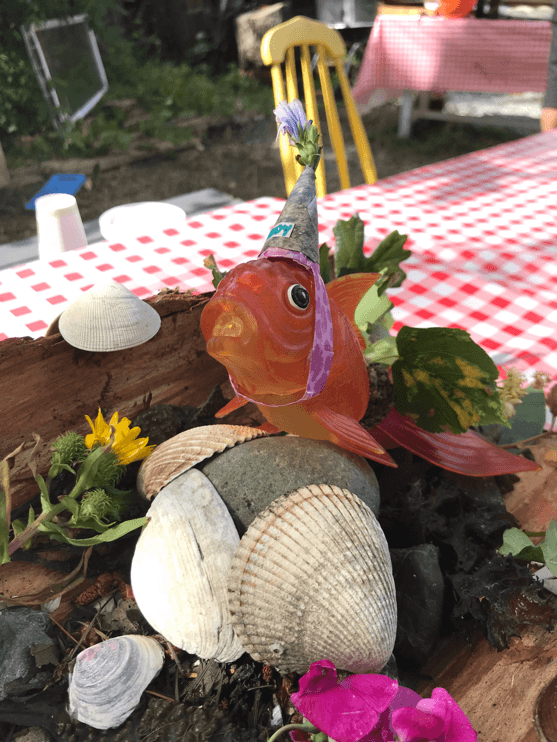 Decorations were made; pizza toppings were prepared; a mapping station was set up; elixirs were brewed; and a little party hat was even made for our small Redfish mascot, Rudy. As guests rolled in we had the opportunity to learn from others and get their input on our community mapping endeavors. The theme of this event was ‘water’: we investigated what water can do for us and what we can do for the water within the Salish Sea. It was interesting to bring in people who were not participants in Redfish and see what different perspectives and lenses they could provide. This event was valuable for many reasons. 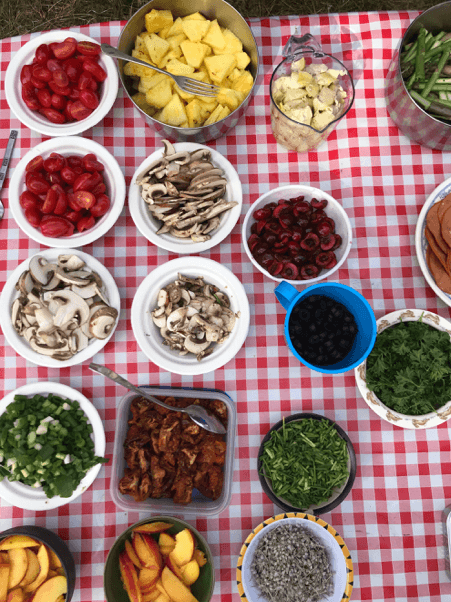 It built upon our growing sense of community within Redfish by providing us with an event to mobilize around and common goals to work towards. 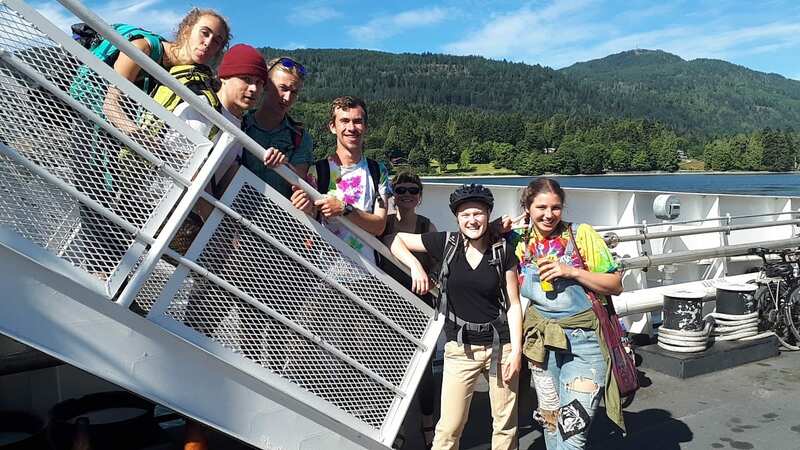 It also exposed us to other points of view that we could learn from and incorporate into our own experience moving through the Salish Sea. The remainder of the evening was spent enjoying delicious wood-fired pizza, dancing to fiddle tunes, and engaging in meaningful conversations. 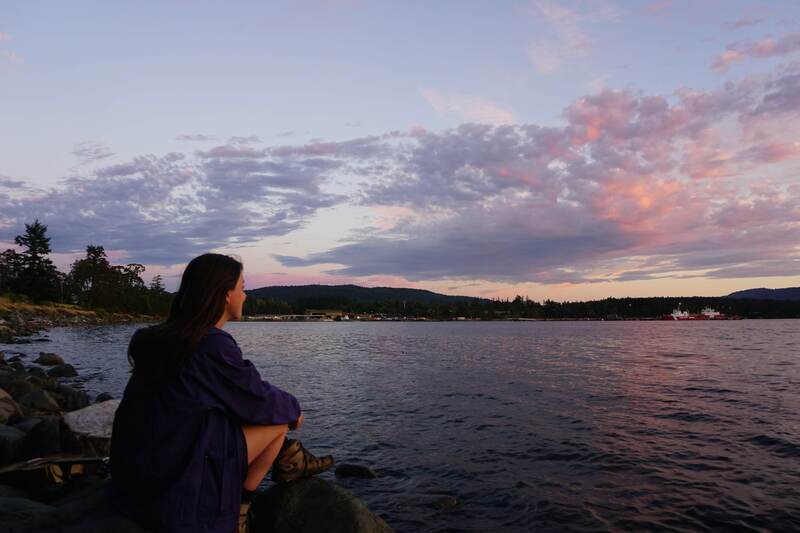 Evenings such as these will be one of the reasons that we will miss our time on the Saanich Peninsula, however, we are all looking forward to bringing our knowledge forward and seeing what the next two weeks will bring.